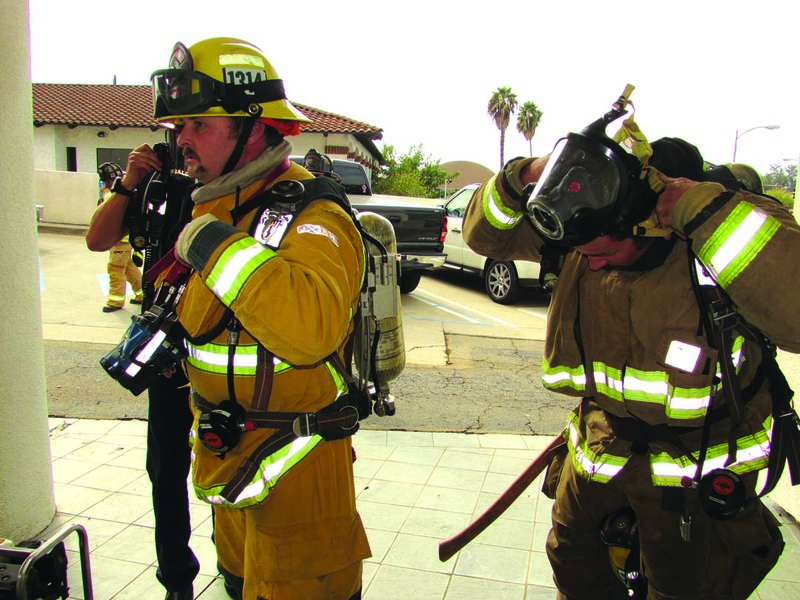 ESCONDIDO — Rescue is just one of many responsibilities on a firefighter’s plate. Protecting and saving civilians is all part of a day’s work. However, the intensity amps up to another level when one of their own has fallen and must rely on others for aid. 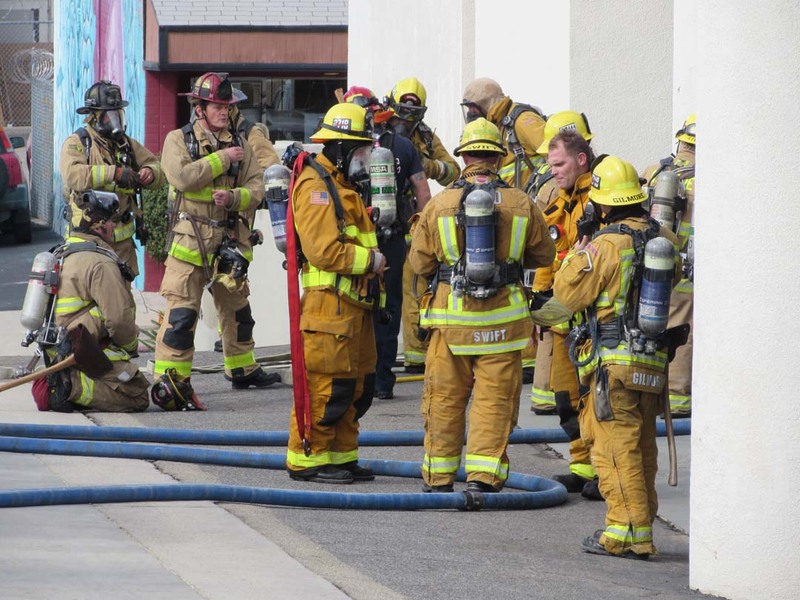 According to Escondido Fire Department Battalion Chief Mike Bertrand, studies show it takes up to 20 firefighters a minimum of 16 minutes to rescue one of their own. So taking a proactive approach is a necessity and the reason why the annual massive three-day, multi-agency drill concluded on Wednesday at the former Palomar/Pomerado healthcare facility. Fire departments from Escondido, San Marcos, Carlsbad, Vista, Oceanside, Valley Center, Camp Pendleton, Deer Springs, Pala, Rincon, North County, San Pasqual and Cal Fire gathered to work through such a scenario. Known as Rapid Intervention Crew (RIC), departments worked in concert to coordinate logistics, tactics, communications and equipment to rescue a trapped firefighter. Escondido Fire Engineer Dave Abraham is one of the top instructors for RIC training. He spearheaded the training schedules and obstacles for the crews. Using the 15,000 square-foot building, firefighters navigated through the building, which was filled with “theater” smoke, to find a pair of their own who “fell” through the roof. Officers either followed or led their teams using thermal imaging devices, which allows the leader to see through a pitch-black and smoky environment. Firefighters also charged their hoses, brought countless tools and other equipment required on an actual call. The goals were many including reinforcing basic firefighting techniques during the drill. The exercise also provides the agencies to familiarize themselves with each other, thus making a real-life incident easier to combat. Communication, meanwhile, is critical to a successful rescue — although command chiefs and the boots on the ground experience similar issues as those on a battlefield. For example, with an intense environment, adrenaline and, sometimes, panic, numerous firefighters may clog up the radio by all speaking at once. The drill is, in part, designed to combat such problems to ensure clear communications being relayed from the structure to the battalion chiefs coordinating numerous personnel, trucks and logistics. North County Fire Battalion Chief Keith McReynolds emphasized as much during a debriefing on Wednesday. McReynolds said he heard about 50 percent of the radio calls, which sometimes can be hindered by firefighters too close to each other inside the building, which forces the crews to overcome another obstacle. Adding to the complication of the rescue efforts, crews still must find the fire, which adds a whole new set of possible dangers. Since fire thrives on oxygen, crews must be precise in their timing of ventilation plus determining where the blaze is located — if it is in the walls, ceiling or jumped behind crews inside walls and vents. Yet another logistical obstacle is each firefighter has about 30 minutes of oxygen in their tanks, which means teams must rotate in and out of the fire and search. 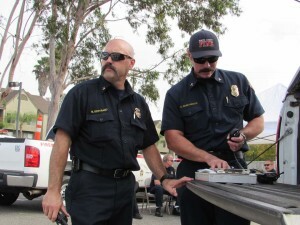 The training, meanwhile, provides the different agencies a chance to work together and familiarize each other with how they approach a live situation. McReynolds said the over the past two decades the agencies’ approaches to fires have changed drastically. 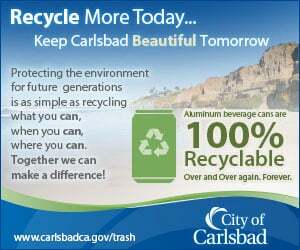 Most notably, he said, is now, the North County crews work in more of a collaborating effort as opposed to riding solo to a blaze. Perhaps the biggest change, the trio said, is a new protocol called Blue Card, which streamlines terminology so each agency is on the same page.